A 12-year-old Ennis National School pupil represented his county at the Munster Spelling Bee final in Cork. Stephen Cahill was runner-up at last Friday’s event, which was part of an overall Eason literacy and reading initiative that aims to inspire children to develop a greater appreciation of words in a fun and educational way, and to encourage them to perfect their spelling and pronunciation skills. 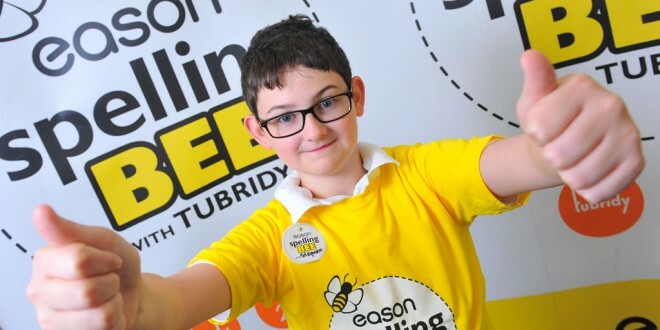 Stephen went head to head with Michael O’ Donnell from Tipperary, who was crowned Munster champion and will go on to represent his province at the Eason Spelling Bee All-Ireland final. Four provincial winners will then battle it out for the 2015 Eason All-Ireland Spelling Bee Champion title and for the chance to win a library of books for their school.